There are moments when it’s hard not to mourn the quick passing of the summer even though we are still in it. Cold rainy days that feel like they were borrowed from another month. A month like October. And seeing that the Purple Martins have ‘left the building‘. Their summer nesting boxes empty – devoid of those beautiful summer sounds the swallows bring – the babies fully grown, independent. Eventually, hopefully, they will make it all the way to their winter home in Brazil, some of them banded and/or outfitted with tiny GPS trackers. Little winter ‘backpacks’ to tell stories of where they go. When they return in the spring the birds will be carefully caught and the tiny GPS devices removed. 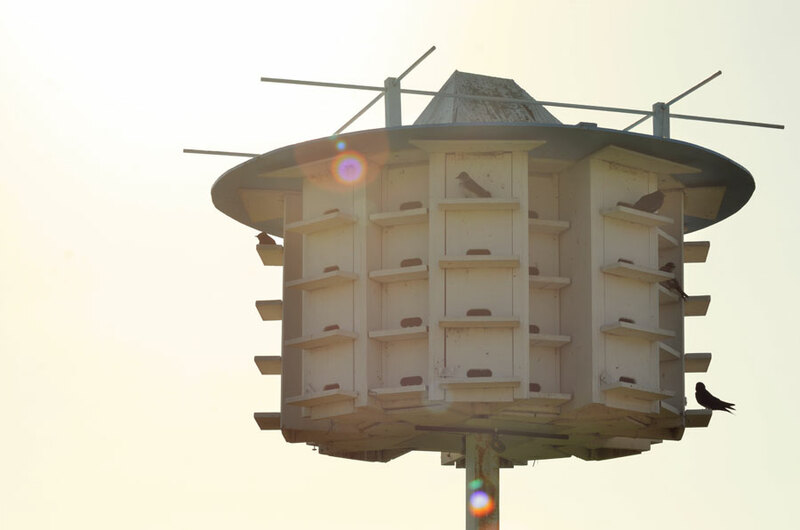 The number of Purple Martins is significantly dropping and it’s not really known why so, this data is hopefully a step in finding out what might be causing the decline in their population, and a step too, in finding ways to protect them. You can read more about the fascinating Purple Martin Project here and here on the Nature Canada website. What a beautiful but sad photo… And then, I read that there is yet another species under threat. Oh, dear. Your photos make me fly. Thanks for shedding light. Two more beauties from you, Karen. I love the moody murkiness of the first and the simplicity of the second. Amazing image ! ! ! Yes, yes. The quick turn of the seasons so far north. I’ve been reflecting on the same thing. Both your prose and artwork capture it beautifully. You created a beautiful and evocative photo, very imaginative work indeed. You might find this link interesting… http://www.erh.noaa.gov/er/iln/research/birds/index.php It shows returns on weather radar caused by what are presumed to be thousands of Purple Martins leaving their roosts at sunrise. I have been watching these on the Cleveland Ohio weather radar for the last couple of weeks when I think to look. Thanks for that great link, Mic, it definitely is of interest, and very cool! So close to my heart! The weather here in Germany is the same. It is too cold and too wet for the season, it looks like summer is over. Karen, you do the purple martins and nature herself proud with your exquisite images. Just beautiful. 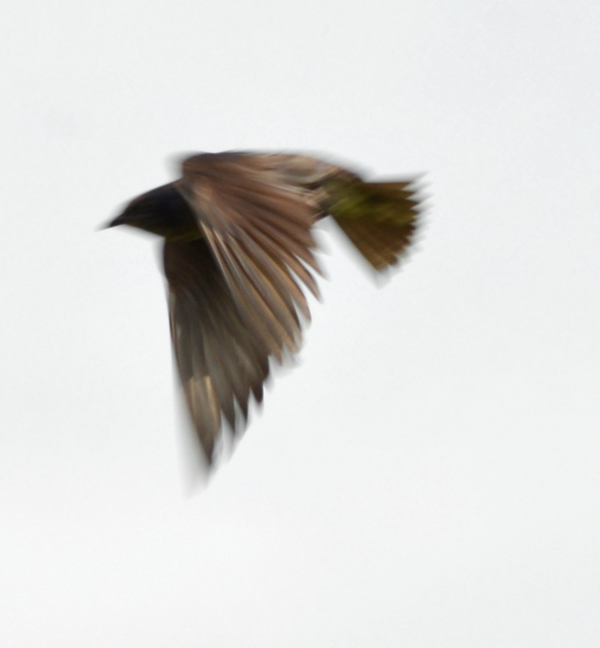 Beautiful photos as usual Karen, and so interesting about the purple martins. There seems to be a decline in many bird species, this year in my part of the UK I have seen fewer swallows and hardly any sparrows , I hope they come back! These really are gorgeous – that first shot is so warm, generous and stimulating – it reminds me of the most absorbing illustrations from my childhood. The ones I got lost in. That first picture is just so wonderful, Karen. It tells it all. Summer (almost) gone, rainy mood, ready to go. Best of luck to the birds. There is definitely a whole different feeling at the end of August… OK, now: this is the 2nd time I’m asking. How do we purchase one of your pictures? Hi Jennifer, is there a particular image (or images) that interest(s) you? I could add them to my website and make them available to order online. Thanks very much for your interest! 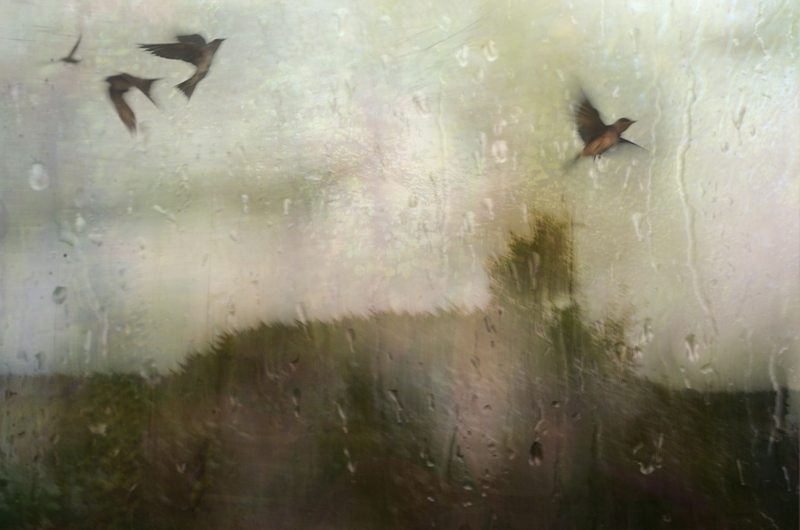 The beauty of that first image sums up the story of the purple martins, gently fading and flying away. Poignantly beautiful. Another sad story about beautiful small animals declining. Here there is a huge concern about bees due to an invasive asian species of wasp causing a big problem because they eat the bees. Purple Martins long, long ago in that first image. Purple Martin today carrying all of this history. Or so it strikes me. Very beautiful. Beautiful photos. I see a reflection in the window in the first one. : ) your image captures the feeling of the end of summer so beautifully. you make such lovely art! Thanks very much, Kif, for all your lovely comments. I’m happy you enjoy my art! Sublime, Karen! I think I’m becoming more attuned to nature thanks to your photography. Moody and melancholic, that first image is perfect for the sense of autumnal partings, and also for the plight of the disappearing birds. Thank you very much, Chris. The birds are a favourite subject for me. Ah, I can see I am sketching these too crisply. Thank you. Beautiful photo layering in this post.